When we list down the names of some of the famous and well known fashion designers revolving in the fashion universe than we never forget to mention the name of Fahad Hussayn. 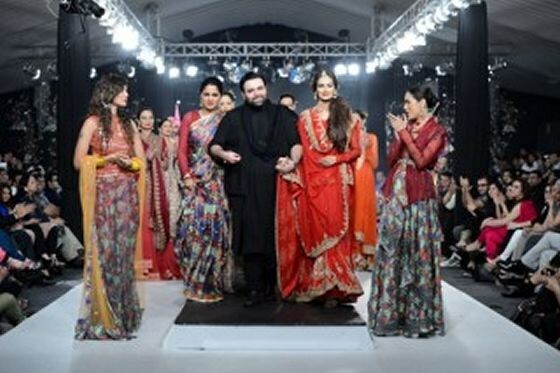 Fahad Hussayn is undoubtedly the most well established and renowned fashion designers that have always live up to the expectations of the people. In every fashion event and occasion Fahad Hussayn has always impressed the public with his elegant and graceful dresses collection. As we know that PFDC L’Oreal Bridal Week has all set in the fashion market so how can it expected that Fahad Hussayn would not rule over the event? 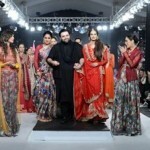 Fahad Hussayn showcased his beautiful and special collection 2012 at PFDC L’Oreal Paris Bridal week. 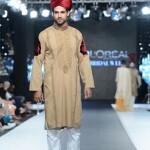 The whole collection has been designed in magnificent and heart-throbbing manner. 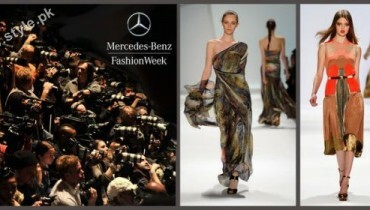 The grace and well dressed mode was fully reflected in the dresses. 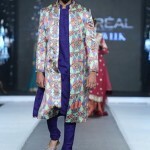 The entire collection was given the label of “Laaj Nagar” that present down the image of love and affection towards the Pakistani culture and tradition. 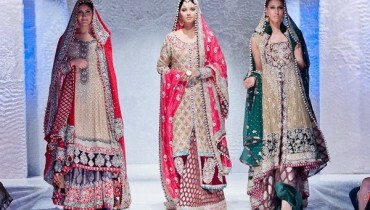 The whole Fahad Hussayn collection 2012 has been covered with the bridal dresses for both men and women. The colors combination overflowed in the dresses were quite lively and attractive that would surely compose the bride as stunning and pretty on her wedding day. All the dresses of the brides were filled with the stone work and embroidered texture. As regard the men dresses are mentioned then they were adorned with the creative designs of shalwar kameez with the oldest blend of Kullah. The appearance of Kullah was an unexpected fashion item that was hugely appreciated by the watchers. 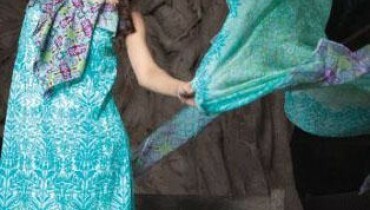 The material of clothing was frequently embellished with silk and chiffon mixture. 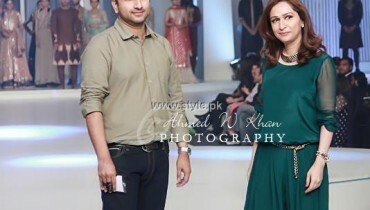 Another major attraction of Fahad Hussayn Collection 2012 was the live performance of famous and known singer Qurat ul Ain Baloch who walked the event ramp with her captivating voice just for Fahad Hussayn. 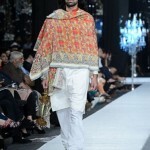 At the end all the lovers of Fahad Hussayn just grip over your heart because we are sharing the complete collection pictures of Fahad Hussayn collection 2012 at PFDC L’Oreal Paris bridal week.